The J-Term is a three week mini-term that occurs during the first three weeks of January. For federal financial aid processing, the J-Term is considered part of the spring semester. If you are expecting a large refund in spring 2019 and it is enough to cover your J-Term charges, you do not need to submit a J-Term aid application. If you do not have sufficient aid to cover J-Term changes, your spring 2019 bill will include J-Term charges (and any applicable late fees). If you have questions about aid for J-Term, contact the FAO and seek guidance from a Financial Aid Advisor via finaid@buffalostate.edu or at (716) 878-4902 to schedule an appointment. Disclaimer: This calculator is an estimate only and does not provide estimates for housing costs or course-specific fees. Log into Banner to view your actual bill once it is available. Contact Residence Life regarding room and board rates for summer. For more information on billing and charges, refer to the Student Accounts webpage. Complete the J-Term Aid Application (available in November) after you have registered for your J-Term course(s). Have the FAFSA and TAP applications on file for the current school year. For students applying for PLUS (Parent PLUS or Grad PLUS) or alternative loans, you must complete separate applications and indicate on the J-Term Aid Application that you intend to use these other forms of aid. Please allow at least one (1) week for the Financial Aid Office to review and process your J-Term aid application. Students must accept any federal loans they requested on Banner.  Please notify the office at finaid@buffalostate.edu with any updates and changes to your J-Term enrollment. A student's J-Term credit hours will be added to their spring semester credit hours to determine their Pell Grant eligibility. A student already full-time in spring will not be eligible for an additional Pell grant amount. Students that are graduating in January may receive a Pell grant for the J-Term, even with no spring registration. Must have completed the current year Agreement to Serve and Entrance Counseling at StudentLoans.gov. Must not have received $4,000 in TEACH Grant funds between the previous fall and upcoming spring semesters (prior to the sequestration reduction). Must be below the TEACH Lifetime Limits: $16,000 as an undergraduate and $8,000 as a graduate student. Direct Student Loans are available to students that have not already borrowed their full annual loan eligibility during the previous fall and upcoming spring semester. A student's class year level is based on the number of earned credits on their academic transcript after fall grades post. Students' total Direct Loan debt must also be within the federal aggregate/lifetime limits. Students must be enrolled in at least 6 credits that are applicable to their degree program to be eligible (the 6 credits can be across J-term and/or the spring semester). Review the Parent PLUS Loan page for detailed information about the PLUS loan process. Students must be enrolled in at least 6 credits that are applicable to their degree program (the 6 credits can be across J-term and/or the spring semester). Available to graduate students; students must apply at StudentLoans.gov. Students must be enrolled in at least 6 credits that are applicable to their degree program (the 6 credits can be across any of the summer sessions). Students are not eligible for TAP during J-Term. J-Term credit hours are not added to spring to determine full-time status and TAP eligibility for spring. Students must be part-time (less than 12 credit hours) between J-Term and spring to quailify for APTS. Available to all registered students that have credit or a credit-worthy cosigner. Review the Private Loan webpage for more information. The following chart represents estimated disbursement dates provided the student completed all his/her j-term aid related tasks in a timely fashion. All Direct Student Loans must be accepted on Banner and the MPN and Entrance Counseling must be on file with the U.S. Department of Education. Direct Parent PLUS Loans Same as Direct Student Loans above; Parent must have also completed Parent PLUS MPN. Direct Graduate PLUS Loans Same as Direct Student Loans above; Student must have completed Graduate PLUS MPN and Graduate Entrance Counseling if this is their first Graduate PLUS Loan. Private Alternative Loans Disbursement date will vary by lender and depending on when the student applied. Students should not expect their private loan to disburse until at least 3 weeks after they began the process.